I sized down in this one and it's still pretty roomy. I like it. It's very soft and this soft lilac color is really pretty. The shoulders are dropped but they don't bother me that much. The real question is whether or not it will pill. Has a bit of that "dream" sweater feel to it. Also comes in cashmere and some other beautiful colors. This shirttail version from Nordstrom looks really lovely. Maybe it has more shape and a longer length. I was drawn to the floral appliques on this one. I probably should have sized down on this as well. It's pretty roomy. The material is quite stiff - sort of like the knit on that sweater with th chiffon fringe on the bottom. Makes a boxy silhouette. Lots of room and almost a dolman sleeve. Not awesome on my frame. I love this color and the little cap sleeves. The lace is substantial and overall the top is thick - might be a turnoff for some but I liked the extra bit of structure. I recently tried on this Loft lace top and will review it soon. Also ordrered this BR one to try which should arrive this weekend. I have high hopes! Saw this little cropped version which is quite eyecatching. If you're looking for something more fitted, Ann Taylor has you covered. And this might be my favorite yet - burgundy purple and navy all in one lace tee? Ugh, yes. Can you tell I love lace? I don't know why but I love this tee. The sparkle is just enough. This is one size down and I liked the fit. This is my normal size which I also liked. I prefer the orchid smoke color. 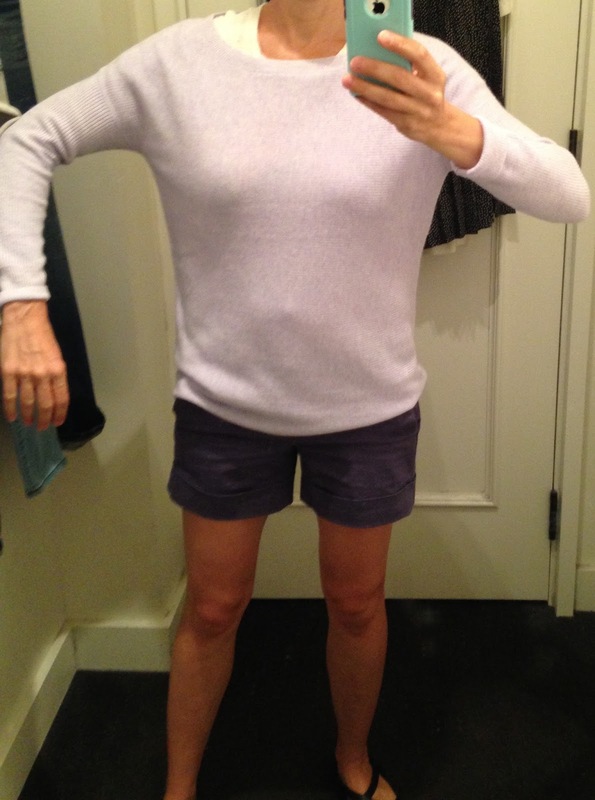 I'm pretty sure this was the size 2. 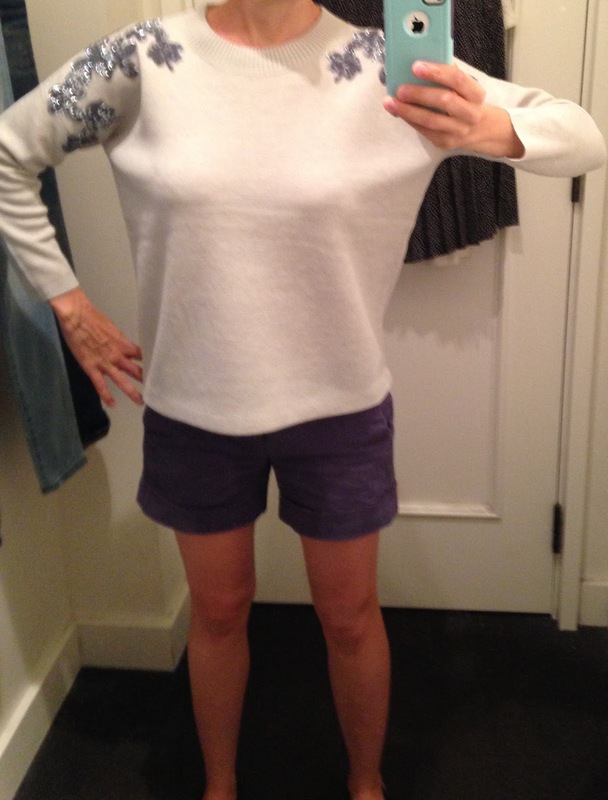 It was pretty snug in the waist and I'm usually a size 0. 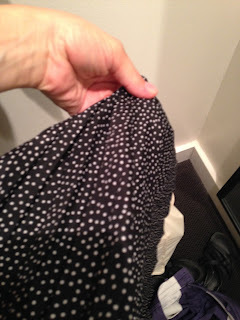 As far as pleats and midi length goes - I think this skirt does it well. No matter how skinny or well laid the pleats are I just always feel a little poufy in things like this. Close-up of the dots. So cute! If you're looking for a more affordable version, this Joe Fresh skirt is so cute and well priced. If you want to break the bank, this Michael Kors version is dreamy. 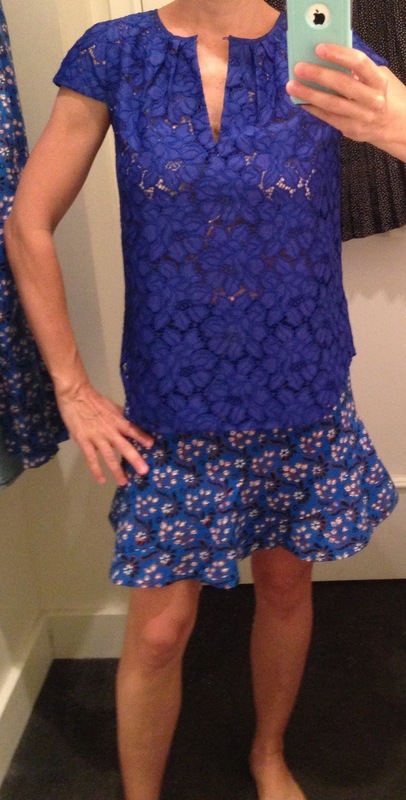 Also loving this BCBG one which is in Navy. Always a great neutral alternative! What are you wanting this fall? 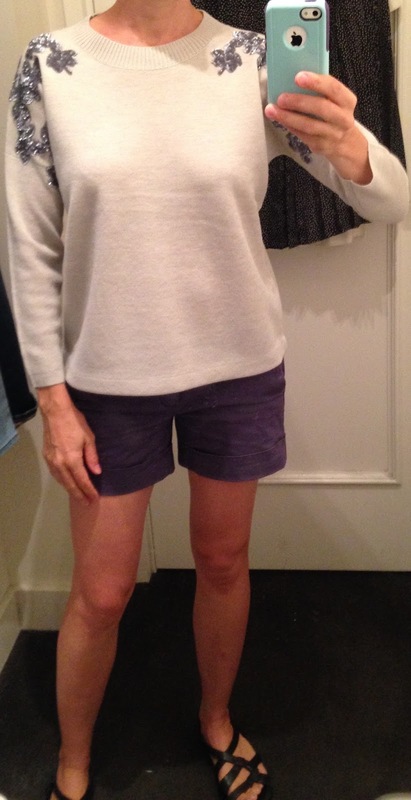 Banana Republic Reviews: I'm loving BR!